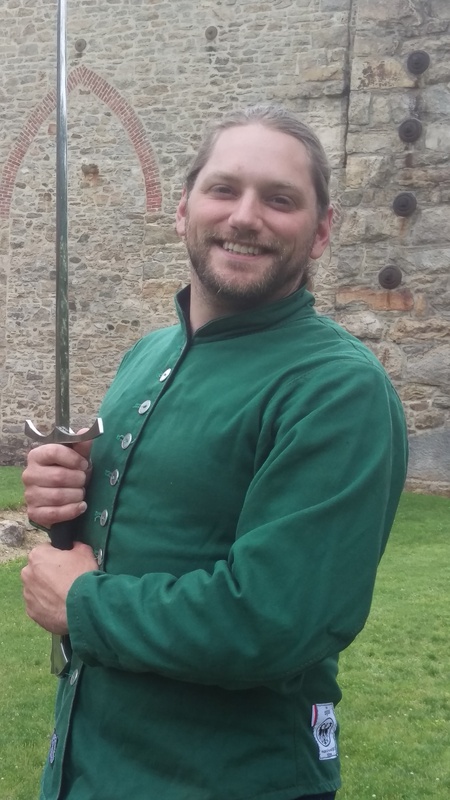 Patrick McCaffrey is the Close Quarters instructor for L’Arte Della Bellica, focusing primarily on Grappling, Dagger, and Armored Longsword in the Fiore Tradition. He has been training for over 2 years with L’Arte Della Bellica. Along with Brian Miller, he has been interpreting the words and pictures of Fiore’s works into martial action. He uses modern and traditional approaches to teach basics and conditioning for the physically strenuous arts of close combat. And regularly holds extended classes to teach the entirety of Fiore’s Dagger Material. When he is not running classes or competing, Patrick also hosts and produces the HEMA-Cast, a HEMA Focused Podcast. He is often found interviewing members of the HEMA community for the podcast at events in the Mid-Atlantic region of the United States.